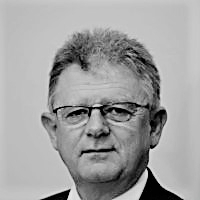 Ken is a Senior Health Executive with over 30 years as a senior manager, and 20 of those years as a CEO across a range of health providers and purchasers in Australia and New Zealand. These range from secondary and tertiary providers with large rural and indigenous populations to major quaternary teaching facilities. His most recent roles include Deputy Secretary, System Purchasing & Performance for NSW Ministry of Health and Chief Executive, Metro North Health & Hospital Service. His clients value his strengths delivering strong collaborative leadership and sustainable organisational change. As an experienced leader, he has implemented clinical and corporate governance models across systems to improve patient flow. Clinically, Ken has a nursing background. What would you describe as your areas of expertise? Developing strong collaborative leadership, organisational change, performance management and accountability frameworks, clinical and corporate governance models, developing care across continuum rather than silo health, and international experience across systems.